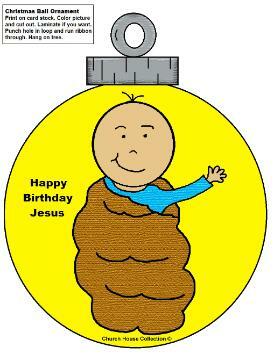 This is a Christmas Ornament Cutout For Sunday School or Children's Church. Great for group activities during children's church. 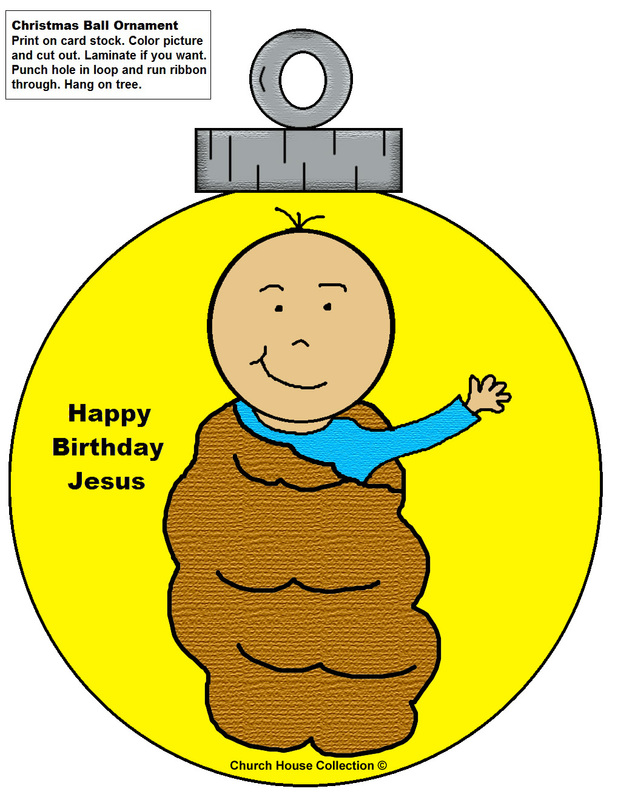 Just print the Baby Jesus In A Blanket Christmas ornament out on cardstock. You can either print the colored one, or you can do the black and white one so the kids can color it. If you print on regular printing paper then you might want to laminate it so it will hold up. I got my laminator from Walmart. They come in real handy. After the kids color their picture have them cut it out and use a hole punch to put a hole in the top of the ornament loop. Run some pretty ribbon through the top or use a christmas metal hook and hang it up on the tree. If you used card stock to print this on and didn't laminate then you could always add some pretty glitter the christmas ball for some extra fun! If you laminated it then you could use a hot glue gun to add some glue all the way around the christmas ball and sprinkle glitter in that. That might be a little more complicated during class time. It would be great for kids to do at home. You want to check out the Christmas lessons we offer. 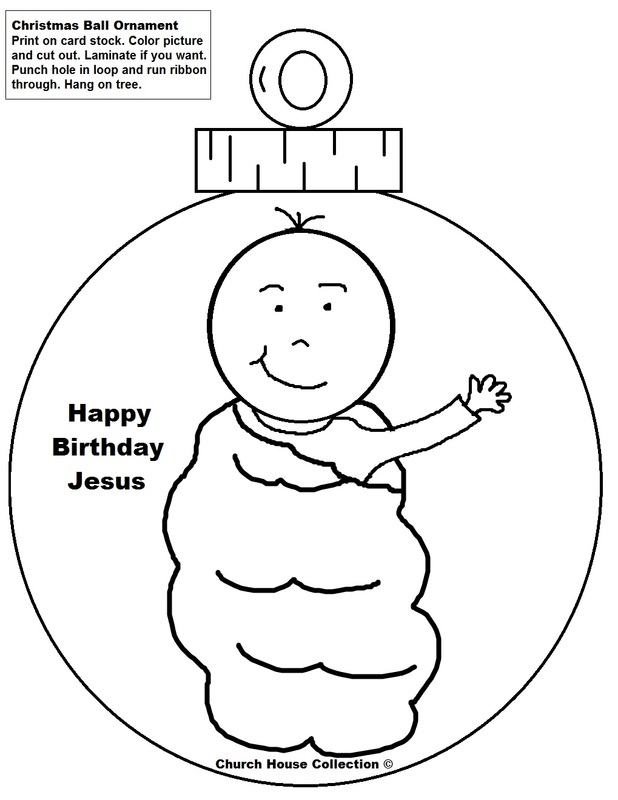 They come with matching materials that go with it like snacks, coloring pages, mazes, clipart and more. All lessons come complete with something that matches it.